Mac, as he was known, was a mumbling shambling mound of a man who frequently didn’t open the shop until 11am, and on some days, he didn’t even turn up. Those days were notable for small crowds of gamers hanging about his shop, waiting for him to open up. He was a larger-than-life personality, quiet yet holding a commanding presence to impressionable young gamers who considered him a role-playing-model, asking his advice on dealing with troublesome Dwarves and destructive Orcs and the younger ones believed him to be a character from their imaginary worlds, grounded in this plane to provide them with sanctuary and friendship, a friendly and sympathetic ear in a world where that was a precious commodity. A friendly balance was maintained, until one day when the Megastore opened in the town centre. An all-you-can-eat buffet was suddenly spread in front of the previously starved gamers and business started to fade at Mac’s Games. One day, no-one knows when, Mac shut up shop. This wasn’t noticed for a while, with the industry being as relaxed as it was in the 80s, and everyone assumed the shop was still going. When ever anyone walked past the shop, they assumed Mac was late that day and his distributors assumed he had forgotten to pay the phone bill again when his phone went dead. Decades passed until, one day, a large distributor turned up on his doorstep to claim an unpaid bill. After waiting outside for a while, making local enquiries and frequenting the local trading card games, it became clear that Mac’s Games was closed for business. A short and too boring to recall here legal case later, entrance to the shop was given and Mac’s dusty corpse was found, sitting on the toilet in the back, the door swinging on its hinges. His once large frame was stretched and gaunt, resembling the poster of an albino swordsman he hung over the gaming table. The distributor claimed all the shop’s assets and that leads us to the amazing find of gaming folklore thought forgotten or non-existant. There, in a shelf at the back, was a box of lost treasure containing the fabled “Monster Book” by Ogre’s Lunch, with forgotten monsters like the Yonagg, the Grabzebo and the Gruntling. One copy escaped recall after the tumultuous court case of 1982. 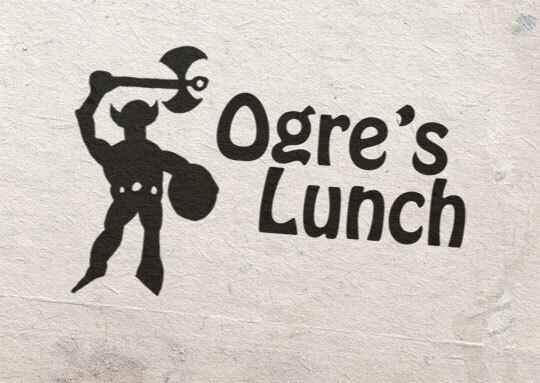 Ogre’s Lunch was sued into the ground for misuse of trademarks in a pre-opengaming world, and, after the suicide of its creator, Jorge Rosencrantz, it was believed none of the original copies remained in the wild. The treasure trove housed in the distributor’s Swindon warehouse was recently passed on to us as payment for an old debt and we are discussing publishing rights of Monster Book with the Rosencrantz family; hopefully, we can finally bring some of Jorge’s amazing creatures back to life on these very pages. A lost treasure in a dusty old cardboard box, traded over debts, finally coming to light would be a remarkable ending to the tale of Mac’s legacy. Once-young gamers can rejoice in what should have been a classic sourcebook from the oft-forgotten Ogre’s Lunch. The most amazing thing about this story, which you forgot to mention, was that it was The Real Lara Croft who went in and grabbed the book. The shop smelt of mothballs and Victory Vs, but didn’t all proper game shops huh? Reminds me of a game I want to run which is basically Planetary, but with a re-examination of the gaming genre, rather than comics. Oh my. Do you remember Ogre's Lunch?